Wi-Fi is about to get a reboot. 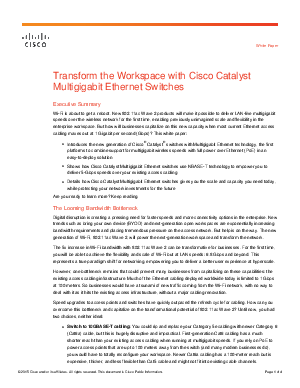 New 802.11ac Wave 2 products will make it possible to deliver LAN-like multigigabit speeds over the wireless network for the first time, enabling previously unimagined scale and flexibility in the enterprise workspace. But how will businesses capitalize on this new capacity when most current Ethernet access cabling maxes out at 1 Gigabit per second (Gbps)? Are you ready to learn more? Keep reading.